On the Magna Carta trail. Celebrating the 800th anniversary. Legend has it that in 1220 the Bishop of Salisbury shot an arrow high into the air from the ramparts of Old Sarum castle vowing that he would build a new cathedral wherever the arrow landed. 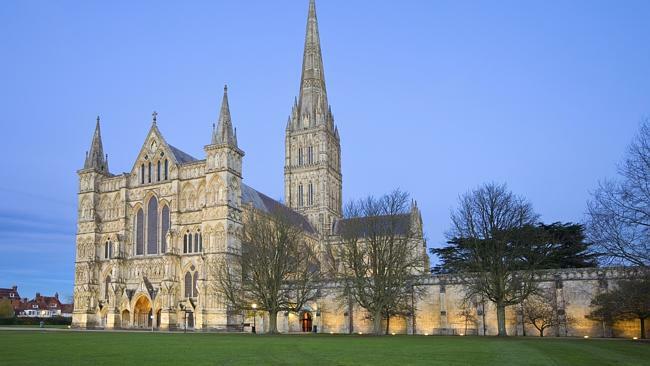 He must have had arms like an ox or some seriously impressive divine intervention for Salisbury Cathedral is actually several miles from the castle. Little matter. 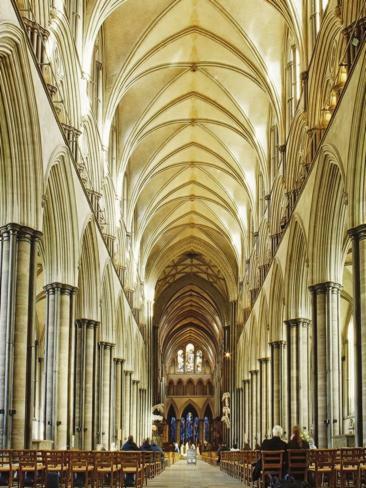 The reality is that the Cathedral he had built is probably the finest example of Early English gothic architecture in the country. It is perfectly positioned on the beautiful water meadows beside the slow-moving River Avon and topped by the tallest spire in the country (which you can climb if you have the knees and lungs for it). It is also home to the best-preserved of the four remaining original Magna Cartas which guarantees the city a starring role in the document’s 800th birthday celebrations throughout 2015. Events kicked off in February when the four surviving original Magna Cartas — from Salisbury, from Lincoln Cathedral and two kept at the British Library — were brought together, the first time this has ever occurred, for three days in London. For the rest of the year the Magna Carta is at the heart of a myriad of festivals, fetes, exhibitions and displays, literary and academic gatherings in every city, town and village with even the flimsiest link. And a few without any connection at all. The Magna Carta, literally the Great Charter, was essentially a political device, drawn up to settle an increasingly violent dispute between King John and 25 rebel barons. Much of it referred to specific grievances. Its enduring legacy was that it outlined basic human rights, setting the principle that no-one was above the law and everyone had the right to a fair trial. It not only became the cornerstone of the British constitution, it influenced subsequent documents like the US Bill of Rights and the Universal Declaration of Human Rights. In March the Salisbury Magna Carta was returned to a redesigned interactive display in the Cathedral Chapter House along with other historical treasures from the extensive archives. And the Cathedral itself is well worth a detailed exploration: from medieval tombs and effigies to the arched supporting pillars bent inward under the weight of the tower. There’s a beautiful modern baptismal font which spectacularly reflects the ceiling and the brilliantly coloured stained glass windows and the bumping stone, worn away from the centuries of traditionally “bumping” the heads of new choirboys to welcome them. It has wide vaulted cloisters and boasts the oldest working clock in Europe. Built in 1386 it’s an ingenious series of weights and pulleys that has no traditional face but sounds the hour. Running parallel to the building is the eye-catching Cathedral Close where the clergy lived. It still has a number of the original medieval buildings as well as some elegant Georgian town houses such as the impressive Mompesson House and featured in a film adaptation of Jane Austen’s Sense and Sensibility. The new visitor centre, designed by an Australian firm of architects, is modern and eye catching yet sits surprisingly sympathetically in the rolling Wiltshire countryside. Consisting of two main “pods” one of glass and one of wood, under a soft wave metal roof balanced on slender, unevenly angled metal poles. Inside, it contains an engaging interactive education centre, a cafe, shop and toilets. The original “facilities” have been removed from their position much closer to the stones, and an access road grassed over which means Stonehenge can now be viewed not as an isolated structure but as part of a broader sweep of ancient mounds and barrows. 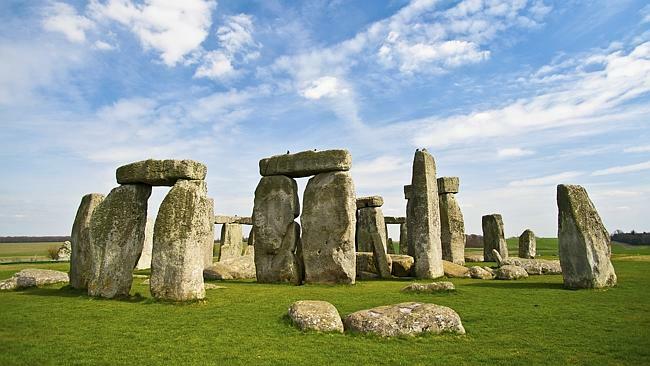 There is more mystery at nearby Avebury which has the largest stone circle in the world, more than 100 stones believed to have been erected about 4,500 years ago. Or Woodhenge, with the remains of six concentric rings possibly part of a structure used by an early community. From Avebury you can also see Spilbury Hill, the largest man made mound. What the circle and the mound were for, and who created them, is still unknown. Another mystery. Trowbridge is impressively credentialed for inclusion on the Magna Carta trail. Mentioned in the Domesday Book in 1200 the town was granted one of the earliest market charters from King John. But by 1215, Baron Henry de Bohun, tiring of the King’s constant demands for increased taxes, joined with 24 other barons to force him to seal the Magna Carta at Runnymede near Windsor. Henry, clutching the charter, is immortalised in a stained-glass window in the parish church. Although not as cutesy as many of the villages and towns in Wiltshire, Trowbridge has numerous important historic buildings across a wide range of eras. Its museum, which focuses heavily on the town’s nationally important textile heritage, is a kids’ paradise. Established in one of the old cloth mills it has that real feel of living history which many of the newer and more high tech museums have lost. Here you are transported back in time in a series of historic tableaux. No visit to any part of England is officially complete without a pint of the best local brew. Wadworth Brewery is based in the pretty town of Devizes, roughly 40 kilometres north of Salisbury and has been serving up specialist regional beers for more than 125 years. 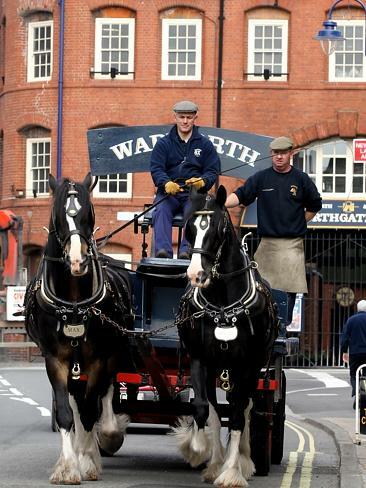 It runs regular tours that include the opportunity to meet two of the brewery’s most popular workers, the gentle giants Max and Monty, two magnificent Shire horses who still deliver the beer to local pubs pulling the distinctive drays. But the highlight has to be dropping in to the brewery’s own private “pub”. Here, visitors can compare the various brews like the popular 6X and the Bishop’s Tipple. Or go for something a little different like the Swordfish, created for the 100th anniversary of the Fleet Air Arm, where beer blended with Pusser’s Navy Rum. Cheers. The writer was a guest of Visit England and travelled with British Airways.